I'm currently exhibiting work at Plymouth Church in Seattle. Above is "The Mill of Time," a Rust Monottype with Gold Leaf, 30x30 in. 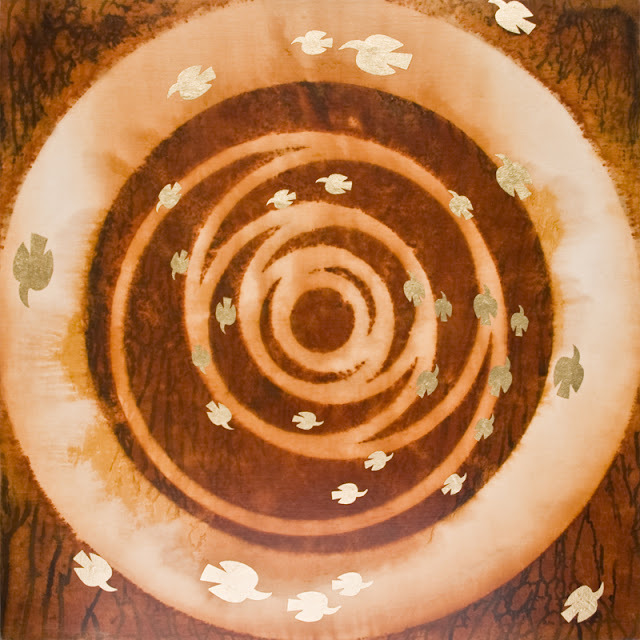 And below is "Vortex of the Eternal Now," also a Rust Monotype with Gold Leaf and with the same dimensions. "The Mill of Time" and "Vortex of the Eternal Now" celebrate with process and image the mystery of Time. 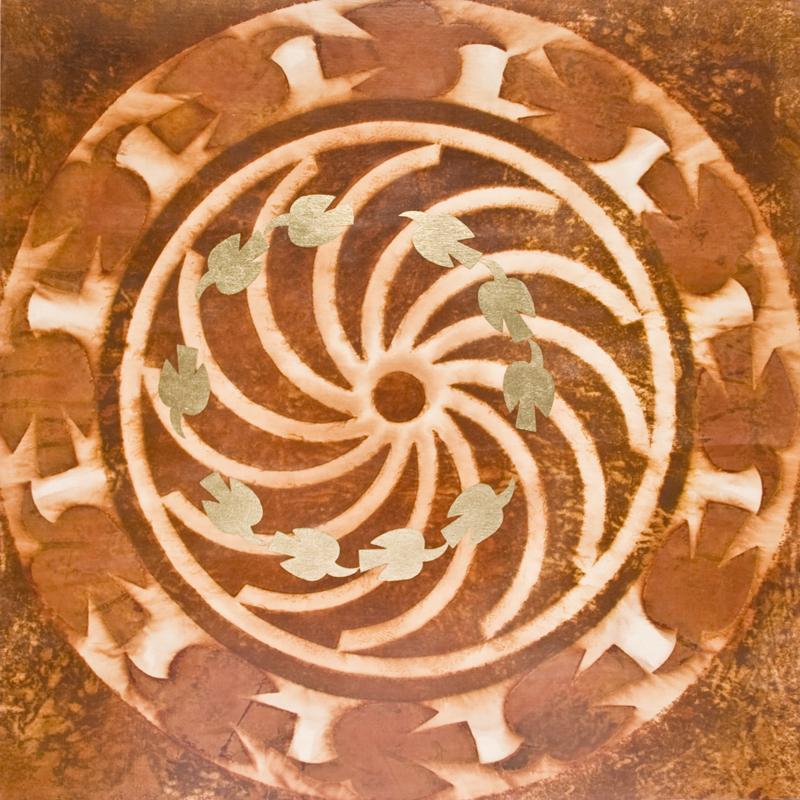 Measurable but elastic, time is experienced only in the present but is anticipated as future and remembered as past! This will be a fine experience for the people those who are coming for the exhibition there. A nice concept is this.Click here for deep details.